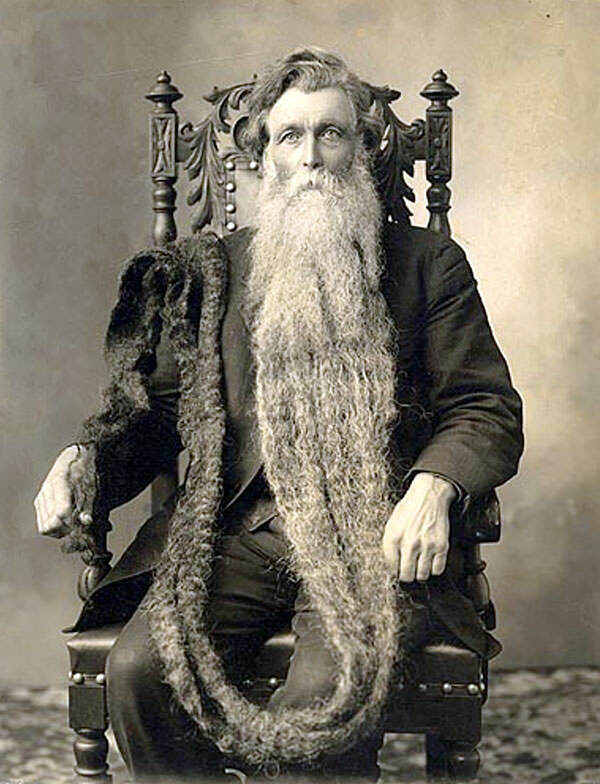 The beard belonging to Hans Nilsen Langseth — aka King Whiskers — is the longest on record at 17 feet 6 inches, although his descendants claim another foot. 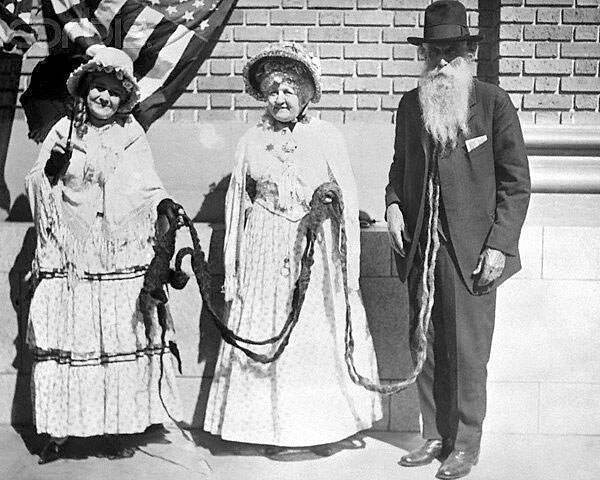 Immigrating from Norway as a child and settling in Iowa, Langseth began growing his facial hair when he was 19, to compete in a local beard-growing contest, and never stopped. 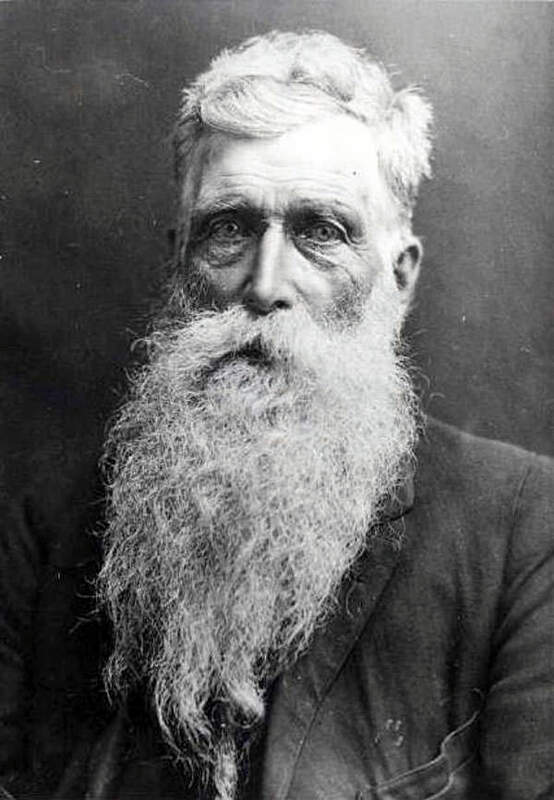 Typical of the mid-1800s, he spent much of his life as a farmer (a kernel of wheat can still be found among the bristles). 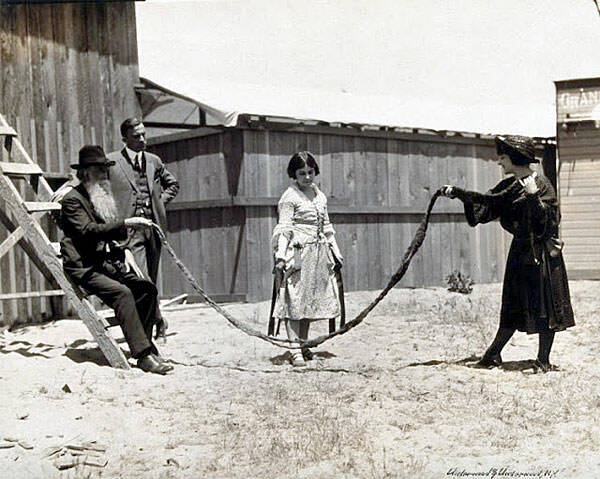 For a time he traveled with the circus, although quickly grew tired of the constant yanking by disbelieving gawkers. 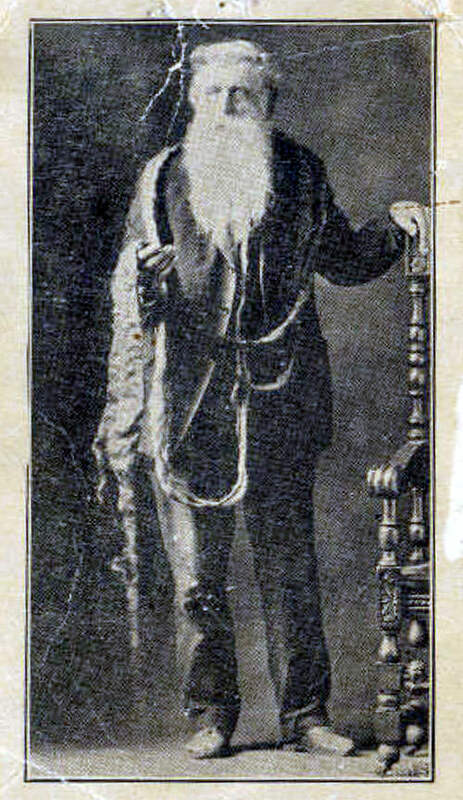 Later in his life, Langseth made the decision to cut his beard off; he got part of the way through, but couldn't finish. That explains why most of it is narrower. 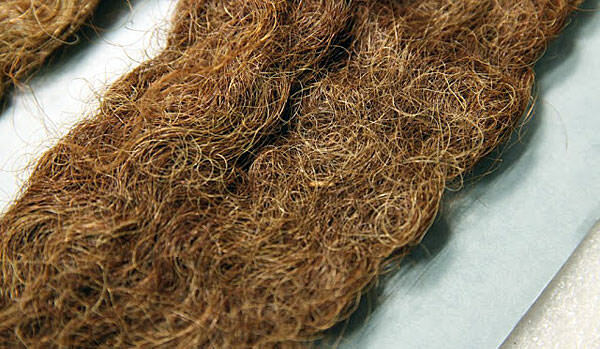 Aside from that, the beard can be read as a kind of timeline — the brown parts represent his youth while the blonder parts represent Langseth's older years. 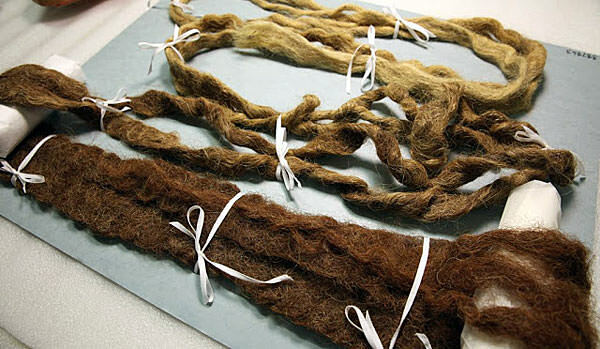 Beard hair can only grow about four or five feet before dying off, thus Langseth matted the dead hair together, akin to dreadlocks, and kept it balled up under his vest. 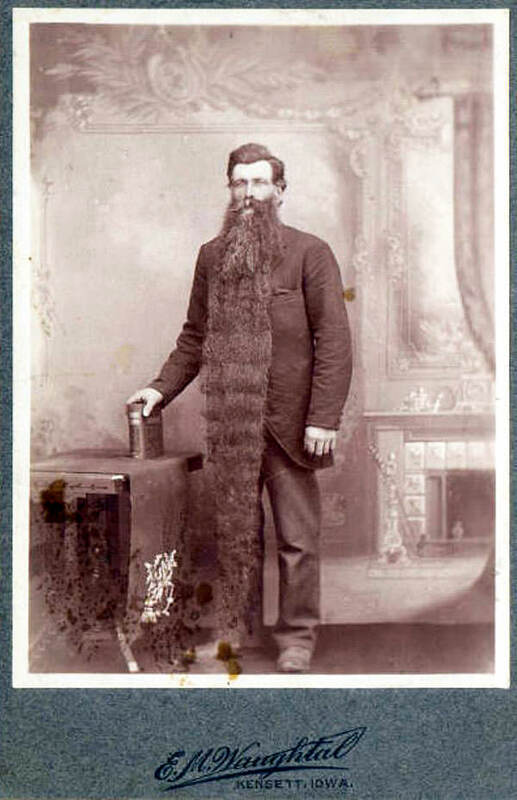 Ultimately the beard took his life in 1927, when he accidentally stepped on it, fell, and broke his neck. He left his children with a final wish: after his open-casket funeral, he wanted his beard cut off and stored for posterity. His son granted the wish, lopping off his father's beard, save for that contested foot. 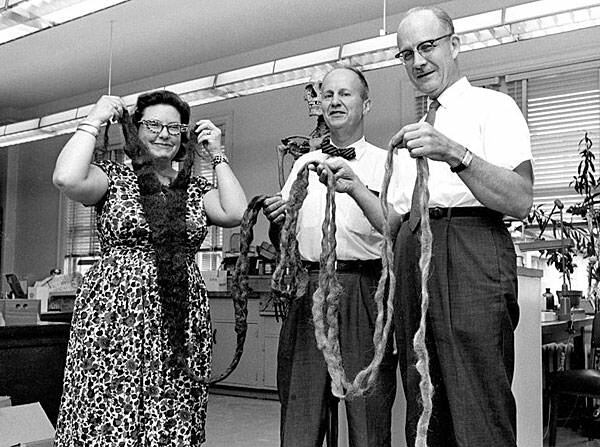 It was forgotten for decades, tucked away in a box until another of Langseth's relatives rediscovered it and donated it to the Smithsonian.